Jehovah’s work, the laws He put in place, and the principles by which He guided men in living their lives, the content of the work He did in the Age of Law, the purpose for which He put His laws in place, the significance of His work to the Age of Grace, and what work God does in this final stage: these are things that you should understand. The first stage is the work of the Age of Law, the second the work of the Age of Grace, and the third the work of the last days. You must be clear about these stages of God’s work. … The work carried out in the last days cannot replace the work of the Age of Law or that of the Age of Grace. However, the three stages, interconnecting, form one entity, and all are the work of one God. Naturally, the execution of this work is divided into separate ages. The work done in the last days brings everything to a close; that done in the Age of Law is the work of commencement; and that done in the Age of Grace is of redemption. 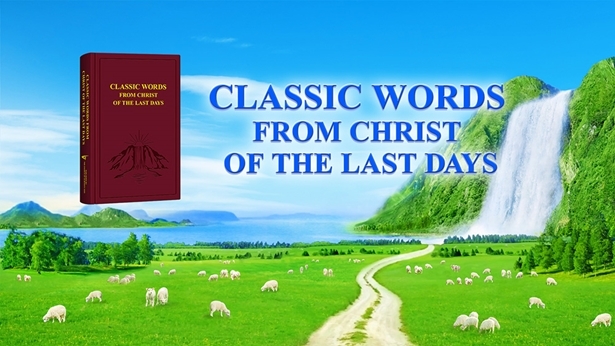 … In the last days, only the work of the word is carried out in order to usher in the Age of Kingdom, but it is not representative of all the ages. The last days are no more than the last days and no more than the Age of Kingdom, which do not represent the Age of Grace or the Age of Law. It is just that, during the last days, all the work in the six-thousand-year plan of management is revealed to you. This is the unveiling of the mystery. The work being done at present has pushed forward the work of the Age of Grace; that is, the work under the entire six-thousand-year management plan has moved forward. Though the Age of Grace has ended, God’s work has made progress. Why do I say time and again that this stage of work builds upon the Age of Grace and the Age of Law? This means that the work of this day is a continuation of the work done in the Age of Grace and an advance over that done in the Age of Law. The three stages are tightly interconnected and each link in the chain is closely tied to the next. Why do I also say that this stage of work builds on that done by Jesus? Supposing that this stage did not build on the work done by Jesus, He would have to be crucified again in this stage, and the redemptive work of the previous stage would have to be done all over again. This would be meaningless. And so it is not that the work is completely finished, but that the age has moved forward and the level of the work has been raised even higher than before. It may be said that this stage of work is built on the foundation of the Age of Law and on the rock of Jesus’ work. The work is built stage by stage, and this stage is not a new beginning. Only the combination of the three stages of work may be deemed the six-thousand-year management plan. The work of God’s entire management plan is personally done by God Himself. The first stage—the creation of the world—was personally done by God Himself, and if it had not been, then no one would have been capable of creating mankind; the second stage was the redemption of all mankind, and it was also personally done by God Himself; the third stage goes without saying: There is an even greater need for the end of all God’s work to be done by God Himself. The work of redeeming, conquering, gaining, and perfecting the whole of mankind is all personally carried out by God Himself. If He did not personally do this work, then His identity could not be represented by man, or His work done by man. In order to defeat Satan, in order to gain mankind, and in order to give man a normal life on earth, He personally leads man and personally works among man; for the sake of His entire management plan, and for all of His work, He must personally do this work. Next：How Are God’s Three Stages of Work Deepening Stage by Stage So That People Can Be Saved and Perfected?